There is nothing more frustrating than not being able to find your destination in a moment of crisis. 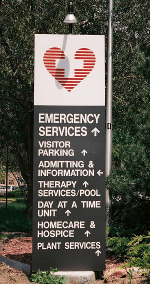 Signs in Medical facilities help guide both patients and staff in moments of crisis and ensure a productive workforce by guiding people to where they need to go efficiently. Hospitals can be a labyrinth of complex buildings or a huge campus with multiple facilities. Trying to find your way can often be a struggle. Having a well thought out way finding strategy is critical to getting patients and staff into the right places without a lot of confusion and frustration. Over the years Signdealz have done a lot of signs for doctors, dentists, and ophthalmologists. The one thing all of our medical customers have said is how important their sign is to their business. 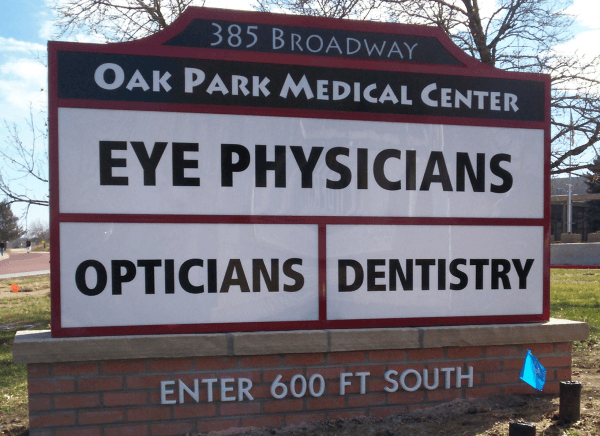 FOR OAK PARK MEDICAL CENTER WE CREATED A LARGE CUSTOM MONUMENT SIGN ALLOWING CUSTOMER TO KNOW WHERE THE BUILDING WAS. 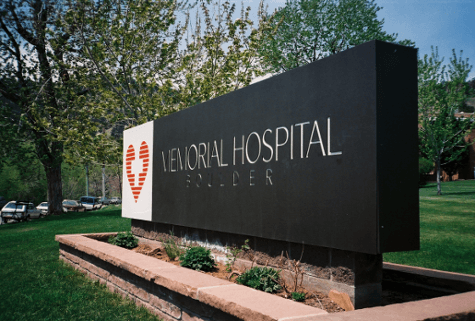 NIST in Boulder purchased land in front of the entrance to the building, requiring patients to drive 600 ft past the building. Imagine how confusing this would be without a good sign. In todays economy, it’s not just about giving customer directions, it’s about bringing in more customers. No other advertising media delivers results at such a low cost than physical signage.